I’m currently researching my latest big piece on the future of personal transport – an area that seems to be moving incredibly quickly. Quite literally. Earlier this week, Ford announced at Mobile World Congress, it was getting in on the electric bike market with two new prototype foldable models. However, it’s one of a number of companies in this space, many of which are lighter on their feet and producing much more exciting vehicles already. Particularly interesting is Jivr bike who my company, Sutro Digital, has started working with. 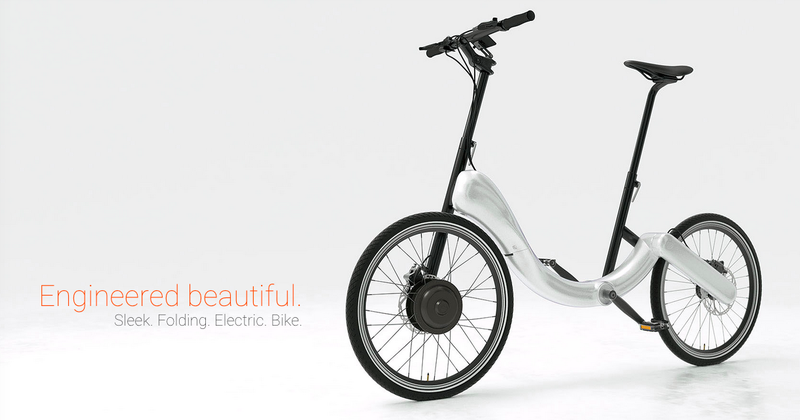 They are currently getting a project together to raise further funds to mass produce a foldable electric bike that really looks the business. What’s particularly interesting is that it will incorporate some of the latest ‘connected vehicle’ features so it can communicate with your smartphone via an app, even provide you with discount vouchers for shops you pass en route to your destination. Nor is this the only solution around. In Europe it seems there are also some exciting projects, including personal electric scooters such as this folding electric scooter from Stigo which really looks fun – see YouTube video below. I only hope I get to try out some of these products around town over the coming weeks!